* You must have a Learner’s License before enrolling for lessons or scheduling driving lessons. * After enrolling for lessons you will receive a User Name and Password and may schedule lessons through our website. 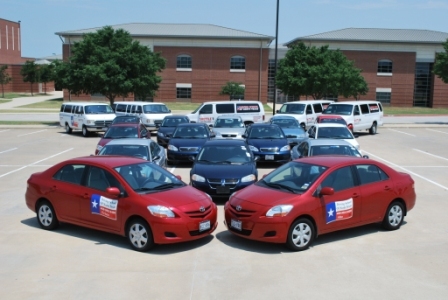 * We offer the DPS Road Test at our Frisco location at 6449 Coit Rd, Frisco, TX 75035. You may reserve a Road Test through our website. Note: You MUST have a Texas Learner’s Permit to test with us.